Winx is set to capture the imagination of her legion of followers all over again when she guns for her 30th consecutive win on Saturday. The changing of the guard in Australian cricket was evident at the Australian Cricket Awards this week. It was a night to put a full stop behind the dramas that have beset cricket and look ahead, not backwards. Pat Cummings became only the fourth bowler to take home the prestigious Allan Border Medal, while Alyssa Healy wrapped up a stellar year as the popular winner of the Belinda Clarke Medal. Racing will be hoping that the disqualification of Darren Weir does not cast such a long shadow over the racing industry. 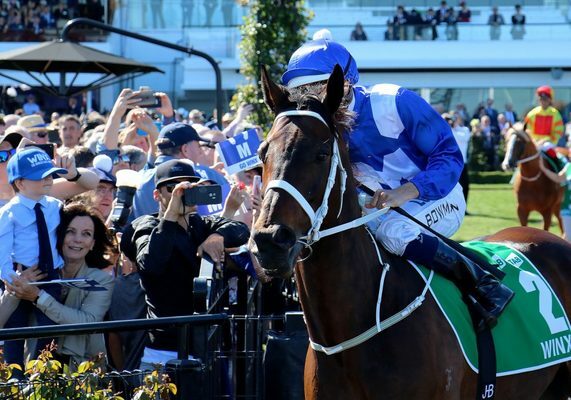 Champion mare Winx will certainly be stealing the racing headlines as she returns to the track in the Apollo Stakes on Saturday. It is a race she won in 2016 and 2017 but missed running in last year’s event. The mare is gunning for her 30th straight win. On Saturday at Randwick the industry will hoping for a case of “Darren Who” as the mighty mare continues to capture the imagination of a legion of fans.